Generally competent at strategic planning, how can pharma transition from acceptable to exceptional to deliver gold standard performances? Drugs and Olympic sport all-too-often share the same sentence for the wrong reasons. But if the run-up to the Rio Games was dominated by the stench of foul play, perhaps their aftermath can provide a more positive stimulant for the global drug industry. The most successful athletes at the Copacabana carnival reaped the rewards of four-year planning cycles that carried them towards their personal best. The pharmaceutical industry is similarly driven by long-term planning. But in a competitive field, many of its combatants fail to finish among the metaphorical medals. According to analysts, around two-thirds of new drugs fail to meet pre-launch sales expectations while half of all pharmaceutical product launches typically fall short of anticipated peak sales. 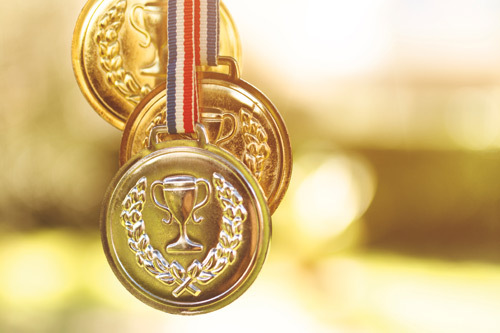 If Strategic Planning was an Olympic event, the drug industry would need to find a performance-enhancing solution if it wanted a podium finish. Perhaps that's harsh. Strategic planning is notoriously difficult irrespective of sector. In 2014, the Forbes Leadership Forum cited a study that showed just 3% of companies believe they're successful at executing their strategies. Even the most optimistic recent research finds that only around a third of businesses claim to be effective at implementing their strategic plans. That form won't get many on the plane to Tokyo 2020. So how can pharma improve its performance? Let's take a look at some of the basics. Strategic planning has a broad remit; it starts at the top of the shop with 'corporate strategy' and then cascades through an organisation, most obviously in the form of strategic brand plans. The former, of course, inform the latter. However, in the worst examples, the two remain as disconnected as Tom Daley's mind and body in the semi-final of the men's solo 10m platform at Rio 2016. Crucially, it's the execution that will determine whether a strategy sinks or swims. Understanding your market environment and how it might fluctuate is also a key constituent in an effective strategic brand plan. It's the business equivalent of track cycling's omnium - but with clearer rules - where knowing your track position is essential. Thankfully, in the digital age, pharma is blessed with good information. However, to be among the medals, companies could perhaps improve the way they use it. There is a huge opportunity to leverage so-called Big Data to inform agile strategic planning. But at present, the reality hasn't yet caught up with the rhetoric. One scenario that is clearly panning out is the transformation of pharma's customer-base. The range of stakeholders the industry must now engage is comparable with a modern pentathlon; the market is dominated by diverse disciplines each requiring a different approach. But while the emergence of payers and non-clinical decision-makers is yesterday's news, the implications for pharma's commercial strategies are here today and reshaping tomorrow. And they're dictating new approaches to strategic planning. The general principles of strategic planning essentially boil down to common sense. Yet, like every highly regulated industry, pharma can often be guilty of over-complicating the process. The coaching manual, however, is clear: the longer the plan, the more likely it is to fail. But with estimates suggesting it now costs almost $3bn to bring a drug to market, failure is not an option. Perhaps it's time for pharma to draw inspiration from British Cycling and focus on delivering marginal gains in its strategic planning. After all, if we can get drugs and cycling into the same sentence without having to inform WADA, that really would be a gold medal performance.